Carepeutic® Remote Control Deluxe Neck & Shoulder Massager equips with wireless LCD remote control and soothing heat therapy. 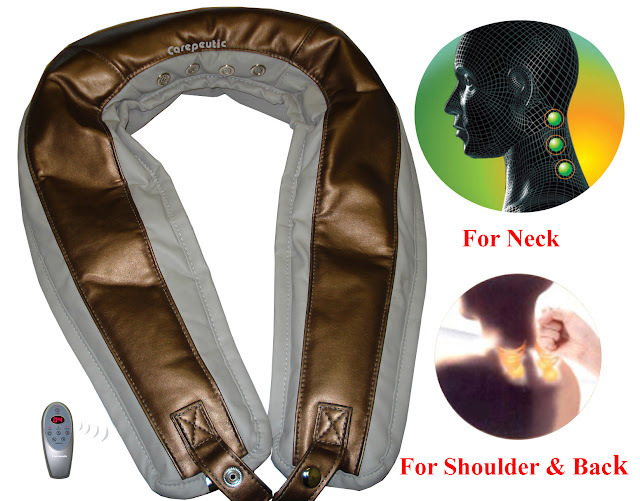 It is specially designed to relieve severe soreness and pain on neck and shoulder, especially for those hard-to-reach muscles around neck, back, shoulder, thigh, and legs. Unlike others, this Neck & Shoulder Massager has both automatic massage program and manual massage program with 16 featured pulse percussion modes and two built-in motors that is able to relieve pain on targeted area effectively. It also has heat therapy function to speed up blood circulation, relax muscle, channel tissue and relieve fatigue and pain on muscles. The remote control gives you ease of mind during massaging either from sitting up or lying down. With Wireless LCD remote control, display massage programs, massage intensity, and massage time. No interruption while doing massage in different areas of body. Made of high quality soft, comfortable leather material with built-in healthy mineral salt therapy and carbon fiber soothing heated therapy. With powerful 16 featured massage modes, two massage motors imitating two-hand taping, great for deep tissue massage. 8 minutes default working time. 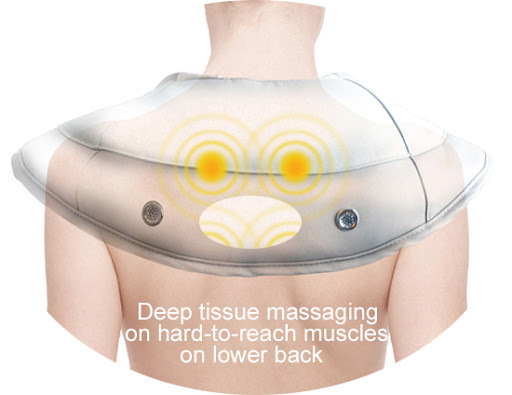 8 levels of massage intensity to choose, from light to strong, everyone can enjoy this massage device. Overheated protection: automatically shut off when the heat temperature reaches its preset level. Relax tense muscle, aching back, tired neck, thigh, and fatigue legs. Each massager is with a uniquely coded remote control. So the remote control is not switchable from one massager to another. If you lose your remote control, you should contact manufacturer for a new remote with the serial number from the PCB inside the massager. The Heat Button is only for On/Off function. Press the Heat button to turn on heat function and press Heat button again to turn off heat function. It does not have the 3 heat levels as mentioned on manual, which is just a standard one for all similar versions. 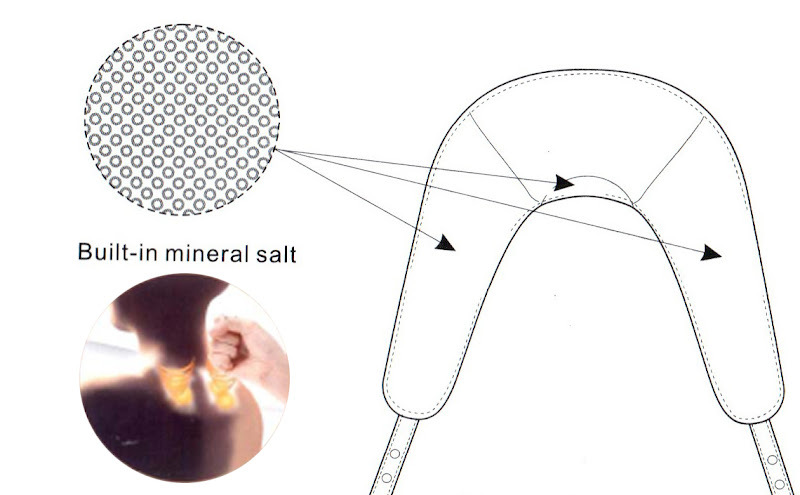 The soothing fber heat is different from electrical heat, it'll take a while to feel the heat on the spot. The heat spot is located in the middle of the left and right panel, not on the top of shoulder panel.